With this message of optimism, we wanted to provide the Coursera community with a window into the success of our outstanding educators and share their insights on effective online teaching. 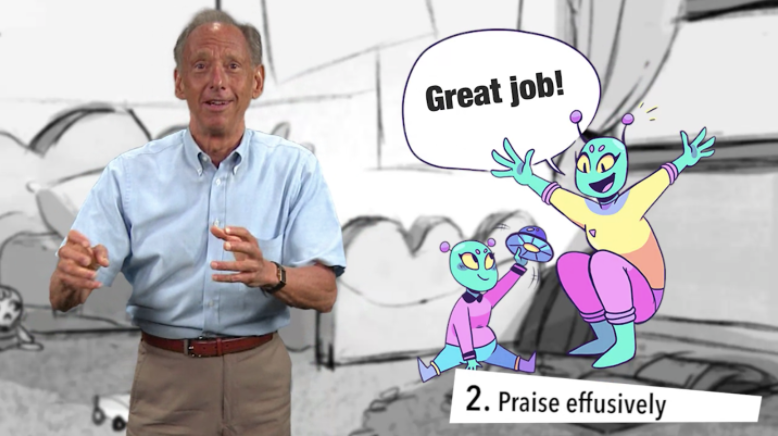 Dr. Alan Kazdin from Yale University was awarded with Coursera’s Learners First Outstanding Educator Award for his course “Everyday Parenting: The ABC’s of Child Rearing”. The Yale Parenting Center has been training parents for more than 20 years. While they have made a significant impact within the local community, they realized that the online format will allow them to reach a much broader audience. “The inspiration behind the course was to help as many families as possible with the everyday challenges of parenting. This can be accomplished by applying some very helpful scientific findings about what we know about child rearing and parenting,” says Dr. Kazdin. Below are 3 things that stand out in Everyday Parenting as putting learners first. Practice is pivotal to developing habits – with parents, children and online learners. This course highlights practice and implementation in every step. Dr. Kazdin quickly moves from abstract concepts learned from science, to concrete and useful techniques. He focuses on the applicable aspects of the material, encouraging learners to try the techniques at home. Common child rearing challenges that parents see often are at the center of each lesson. The concept of learning by doing refers not only to the learners, but to the instructor as well. Dr. Kazdin not only describes the technique, he models it and shows the learners exactly how to implement it. As an example, in a lesson about simulations, he first explains the concept – “Simulation means engaging in a behavior in game-like or pretend situations”. Then, he continues to show parents how to do this step by step: “Go over to your child, and tell him – Billy, there is a game I want to show you. It’s called the tantrum game.” This way, parents are shown a concrete example of how to implement the technique. “Creating the online course made me consider how a learner experiences teaching in a way I had not considered”, says Kazdin. He recommends focusing on application and making sure the materials are accessible to individuals from a variety of backgrounds. In developing Everyday Parenting, the course team made an intentional effort to use everyday language and inclusive visuals. As an example, the cartoon family in the course features aliens instead of humans, in an attempt to create a universal depiction of an average family. The course team used A/B testing to test the alien cartoon with a small sample of 70 parents, who responded positively to the images. Dr. Kazdin was hesitant at first, but the test results were reassuring and allowed the team to use this approach with confidence. Scripts were also reviewed to ensure diversity and inclusion in language and imagery. In terms of format, the course uses multimodal methods to reduce cognitive load. Parenting technique steps are presented in multiple channels: audio, text and visual representation [see image below]. Everyday Parenting is impacting families around the world with effective online teaching strategies. We look forward to sharing more stories of success with our broader educator community and supporting transformational learning experiences on Coursera.